Летом наша кожа нуждается в особенном уходе. С наступлением лета активность солнца усиливается, воздух становится сухим. Все это неблагоприятно сказывается на нашей коже. Большое количество разнообразных фруктов и овощей поможет освежить кожу, преобразить ее, сделать более упругой, молодой и сверкающей без лишних затрат. Mask of strawberries. To strawberries add a little cream, put on face. The mask has a rejuvenating effect and lightly whitens the face. Mask of cucumbers. Two spoons of the cucumber chopped on a small grater is mixed with a small amount of sour cream. This mask perfectly refreshes, moisturizes and nourishes the skin. Mask of parsley. Pulverize a little parsley to make up the juice, add to it 1 a spoonful of sour cream and apply to the skin. Parsley removes dark circles under the eyes, brightening them, and perfectly improves skin color. Mask of potatoes. This mask is good for fading skin. Cook boiled potatoes, you can add milk or cream, and apply a thick layer on your face. Apple mask. 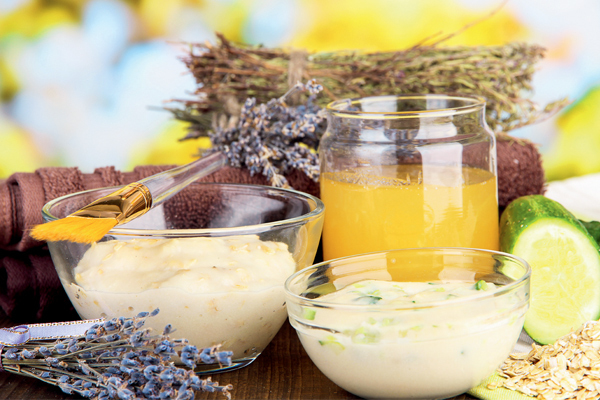 To two spoons of freshly made puree from apples, we mix one spoonful of honey and vegetable oil. Mask of green apples. Take a green and sour apple, clean, rub on a small grater and immediately apply to the skin of the face. 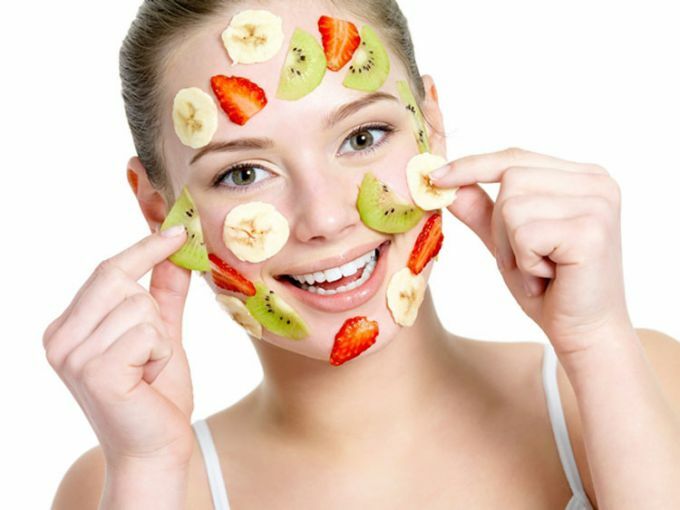 In summer, it is possible to use for masks all types of berries, fruits and vegetables that you have at your fingertips. It is very useful and really transforms the skin!